Happy Days on Henderson is just around the corner! 11:00 Welcome & Opening Announcements! Rain or Shine – Happy Days is bound to be happening this year! 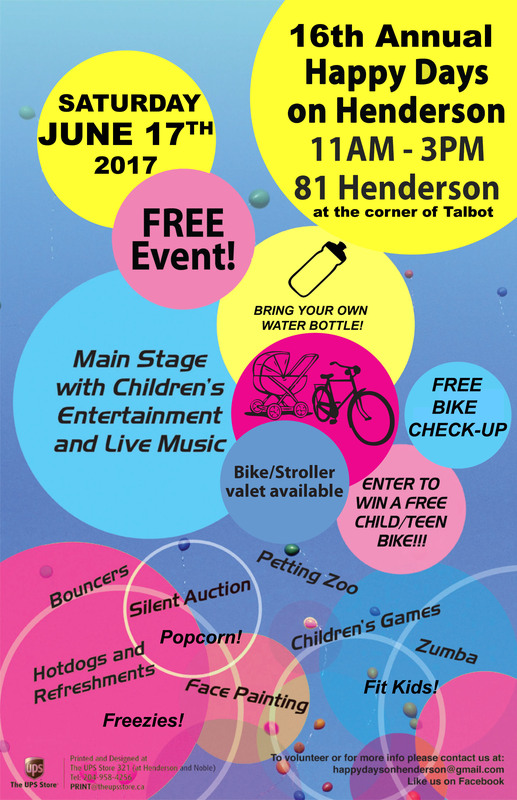 Saturday, June 17th 2017 the Elmwood community proudly hosts the annual, Happy Days on Henderson event on the front area grounds of MBCI and the community facility located at 81 Henderson Highway. The usual family fun day is planned from 11:00 am to 3:00 pm with FREE attractions including Children’s Games, Face Painting, Bouncers, Petting Farm, FIT KIDS display, Bike Valet, bike repairs and bike giveaways, Police and Fire Department Display and so much more! 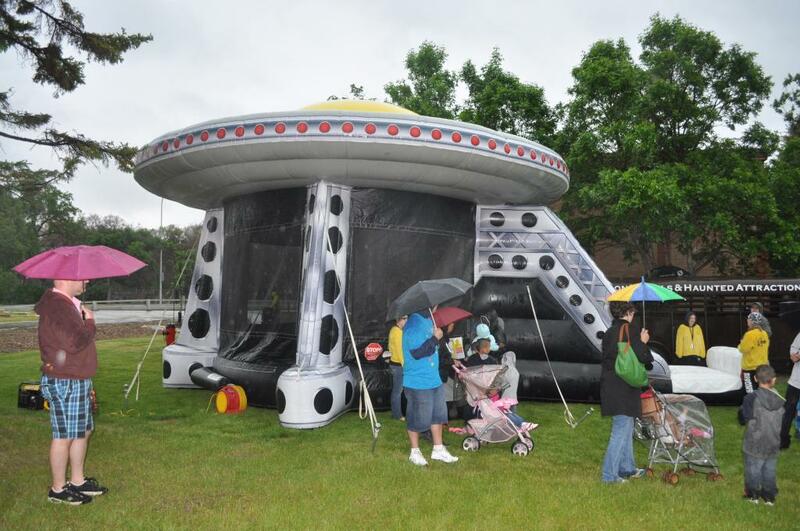 Based on the participation levels last year, we expect over 1,200 people to participate in this event organized to promote community participation which also includes a hot dog lunch and stage entertainment. In addition, local residents, businesses and organizations are provided with an opportunity to connect with each other and to bring an awareness of the services available in our community. Download our poster for the 16th Annual Happy Days on Henderson!